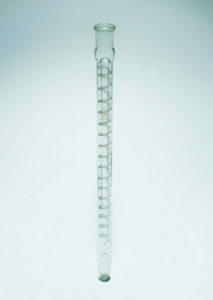 These columns have an accurately fitted Dufton glass spiral which can be removed for cleaning purposes etc. This type of column has proved exceedingly successful in gas analysis. For ease of operation, relative efficiency and throughput, the Vigreux is probably the most practical and commonly used fractionating column. The shape of the indentations, which project towards the centre of the column, ensures intimate contact between the vapour and the liquid adhering to and running from them and has exceptional efficiency for such a simple unit. 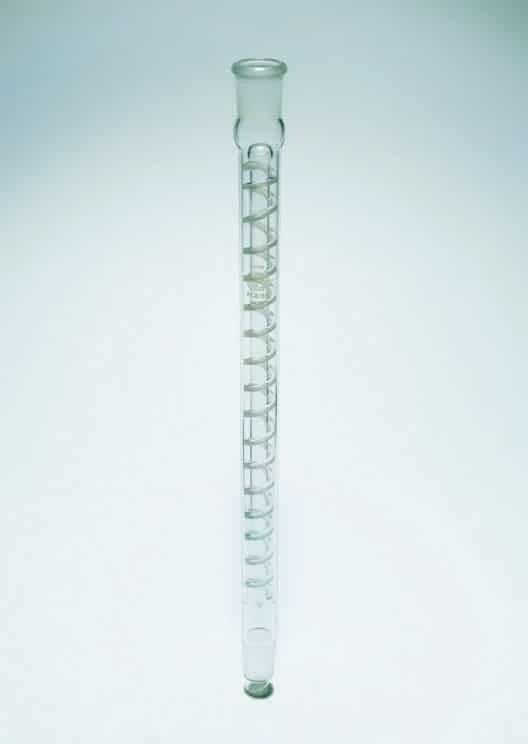 Raschig rings are short lengths of glass tubing, usually having the same length as the diameter. Note: The above column packings are supplied in minimum quantities of 1 litre. These packing supports will hold the smallest column packing normally used.